I had a friend a long time ago who owned a house on Vashon Island – it was the tiniest house I have ever seen. Before I walked in I thought it would look cramped and would be crammed full of “stuff”. I’ll never forget that first impression when I entered. The space was neat, orderly, and very well laid out. It didn’t feel cramped at all. It was a lesson to me that I have never forgotten; a house or a room does not have to be big to feel comfortable and spacious. 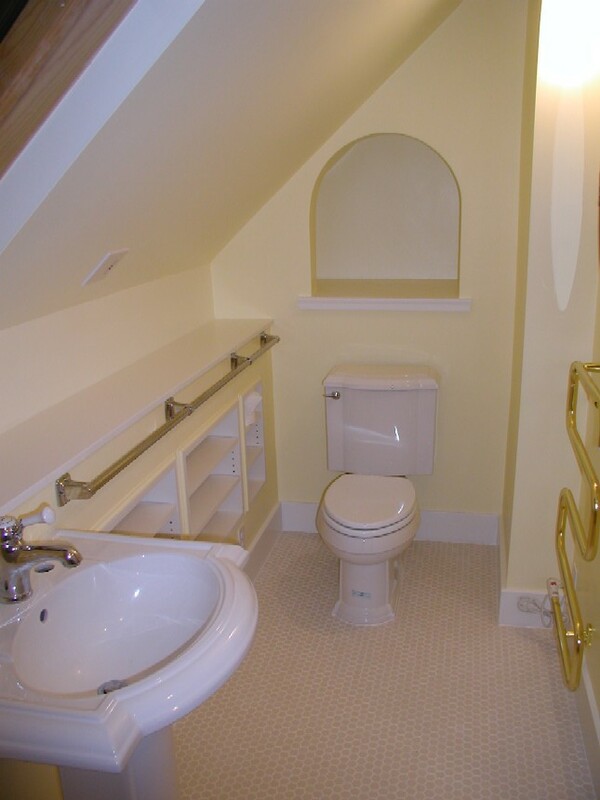 This wonderful article, titled “Small Bathroom Remodel? Keep it Simple” lays out very nicely the things you need to consider when remodeling a small bathroom. The article has 3 lists of things to consider, the first lists the big things to consider, the second lists decorative items such as mirrors and towel rods and how to best use them and the third lists decorating ideas. I’ll copy the “big” things list here, and if interested, you can click on the link for the rest! Choose only a compact shower stall or only a whirlpool or spa tub that is smaller and deeper (this will fit nicely in a corner). Even some of the tub designs now being advertised for seniors would work in a small bathroom. Choose a pedestal sink or a wall mounted sink. This will leave more floor space and make the room feel bigger. Choose the most compact toilet you can find. Choose a taller model over a shorter wider style.